As dentists we hear these questions frequently: Should I remove my wisdom teeth? Will they erupt further? Will they make my front teeth crooked? As one of the most common dental procedures in the UK, here at K Dental Studios we are fortunate to have the right experts to help and advise patients who are considering treatment. Most adults have 32 teeth, including 4 wisdom teeth. Wisdom teeth are usually the 3rd and final set of molars and they usually emerge between the ages of 18 and 21. Not all people have developing wisdom teeth and for those who do develop them, only some will see them erupt fully in their mouths. Nowadays, because of the change in our diet, eating mostly cooked food, tooth wear is less over time. This change means there is not always enough space for wisdom teeth to erupt. Patients often tell us that their buried wisdom teeth are pushing their lower front teeth causing them to become crooked. There is however no evidence to support this theory. One of the reasons why front teeth may become crowded later in life is more likely due to the chin area narrowing in our early 20s leaving less space for the incisors. Because of this we will not extract wisdom teeth purely for this reason. What we sometimes see as dentists is half the wisdom tooth peeping through the gum surface leaving a flap of gum (called the Operculum) covering the remaining tooth. Food can get stuck in this space and bacteria can enter the area, causing infection, discomfort and swelling, even general illness. This is called Pericoronitis and we often see patients who are very distressed and in considerable pain with the condition. Fortunately, for anyone suffering in pain with the condition it is easily treated. The second common issue concerns tooth decay. Wisdom teeth are more prone to tooth decay and gum disease because of their hard-to-reach location and awkward position. Making them more susceptible to decay. Holes can develop on the wisdom tooth as well as the tooth in front. 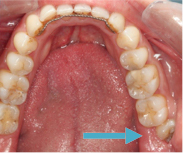 This issue is not so easily resolved and may result in having both teeth removed. Should I extract or should I leave and monitor? In situations where decay or holes are clearly evident we may decide to remove the wisdom teeth but only if it is safe to do so. We always make a full assessment first, identifying the risks associated with removing wisdom teeth and making sure that the benefits outweigh any risks. The options are fully disclosed to the patient at a consultation and together a decision is reached. If we recommend that the wisdom teeth are left and monitored, the main reason will be due to anatomical structures, which may, if impinged during the extraction, lead to further problems for the patient. For example, the roots of the lower wisdom teeth may be in very close proximity to a nerve that runs along the lower jaw bone providing sensation to the lips, teeth and chin. If this nerve is irritated during the procedure, it can lead to temporary or permanent loss of sensation in these areas. 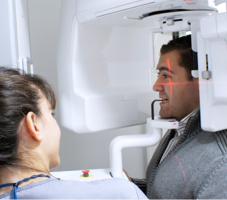 Obviously, this is an outcome we absolutely wish to avoid at all costs and is the why we assess this risk by taking a Panoramic x-ray and sometimes referring patients for a 3 Dimensional Cone Beam CT scan (CBCT) and assessment by our Oral Surgeon. Then only if we consider the risk to be very small will we recommend extracting the teeth. At this point (if applicable) we may even suggest alternative treatment options such as a Coronectomy, which is the removal of only the top part of the tooth. At K Dental Studios we would much rather follow a course of prevention over extraction by regularly monitoring of the situation and providing advice on looking after wisdom teeth. In the instance of the tooth decay, we may attempt to place a filling first. What should I do to prevent problems with my Wisdom Teeth? It’s simple… prevention, prevention, prevention. Maintaining a good cleaning regime, keeping your teeth free of food and debris will prevent both Pericoronitis and tooth decay. We therefore advise patients to see their dentist regularly for check ups, hygiene appointments and professional cleaning. Our team here will also assist you with your home cleaning regime. At K Dental Studios our expert team will carefully consider the unique requirements for each individual case and tailor a bespoke hygiene plan including tips and aids for looking after wisdom teeth and maintaining a healthy mouth. We have many patients who have never experience subsequent problems with their wisdom teeth. I’d like to think its because they have taken our advice on board and come to see us regularly. As I always say “Treat your teeth and gums well and they will behave”. For any questions about wisdom teeth and indeed any concerns you may have regarding lower crowded teeth, speak to our dentists who will be more than happy to assist you. For a consultation call (0207 637 8484) or email us for more information.